I obtained this from Dewey Fisk, August, 1997. 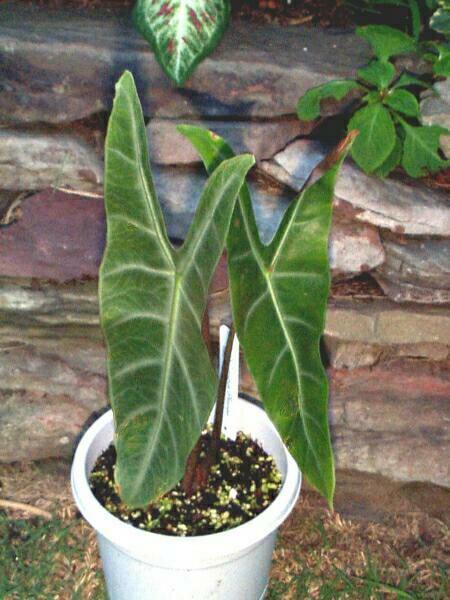 The leaf is something like lowii and argyrii but narrower and longer. I presume that as the plant gets older the difference will be far more apparent. There's a new fat leaf coming out. Once it's out, I'll upload the new image given that this leaf will be unblemished as opposed to these two that were slightly burned.